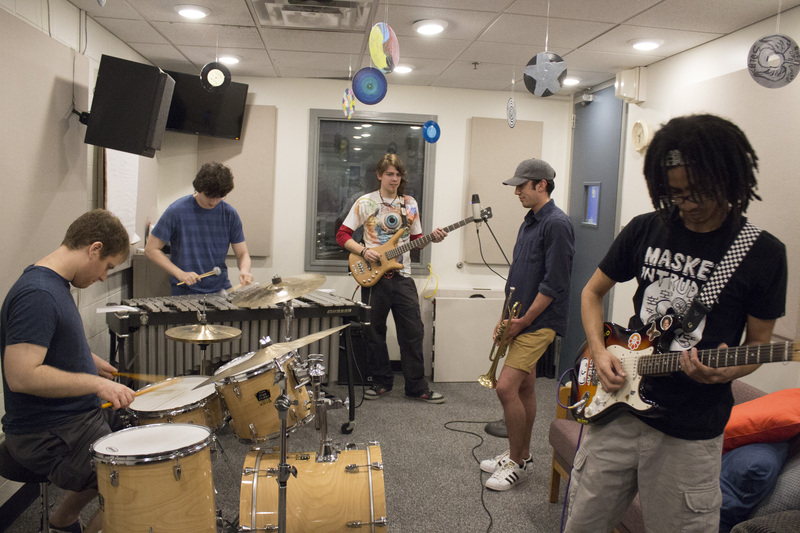 On this episode of The Music Room, Newark-based band Strut stopped by the WVUD Live Lounge to speak with Liz Webb and perform some original music. What started out as a jam session between a few friends developed into a Jazz/Funk Fusion five-piece, featuring bassist Chris Leich, guitarist Eric Emory, vibraphonist Ian Kurlan, trumpeter Ryan Nylander, and drummer Seth Chizeck. 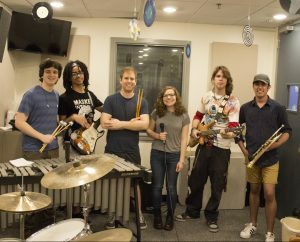 With appearances at the UD Jazz Chamber Concert and WVUD’s Battle of the Bands, Strut have made a name for themselves across the UD campus. By blending elements of both jazz and funk, Strut establishes their own unique sound with a groove that is sure to get you moving. From Left to Right: Ian Kurlan, Eric Emory, Seth Chizeck, Liz Webb, Chris Leich, and Ryan Nylander. Listen to the interview below to learn more about Strut and to hear their performance of four funky jams in the WVUD Live Lounge. Strut, Host: Liz Webb, Recorded April 4, 2017, originally aired April 11, 2017.